At the Dallas law firm of BrunemanLaw, PC, we deliver compassionate family law representation. Our attorney, Steven W. Bruneman, has been practicing for more than 30 years and is Board Certified in family law by the Texas Board of Legal Specialization. When you are represented by our family law attorney, you get comprehensive services with compassion. We understand the psychological aspects of divorce, and how emotions can cloud judgment. Our attorney provides candid legal advice that is both objective and has your best interests in mind. In addition, we pay attention to how the legal paths we take affect your and your family's future. We counsel you on the potential long-term consequences of any course of action we might take so you have the knowledge you need to make decisions. Our lawyer, Steven W. Bruneman, treats every client as an individual. He understands that every client has a unique situation, and he tailors his legal strategies and services to fit the needs of the client. He has been in countless trials, including hundreds of contested custody cases. This gives him both the skills to think quickly on his feet during tense moments in the courtroom and the ability to problem-solve in a creative manner. His experience has also taught him that litigation is not always the best strategy, especially in family law cases where the priority should be on the long-term best interest of the children. He will counsel you on alternative ways to resolve your family law issues. 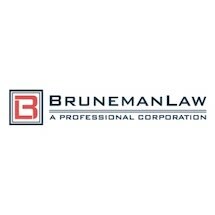 By combining his vast trial experience with a client-centered focus, BrunemanLaw, PC, provides effective advocacy both in and out of the courtroom.